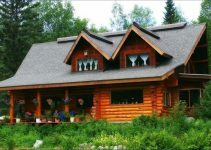 There are many beautiful log cabin designs that catch the eye and some of them stand out more than others. 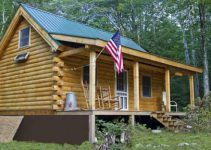 First impressions are important and they are dictated by the exterior appearance of the log home … however, the interior is also important when trying to decide what you would prefer. 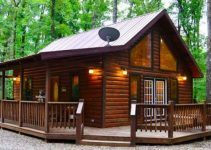 The fireplace is usually a main attraction in any log cabin and it conveys a warm and cozy environment. 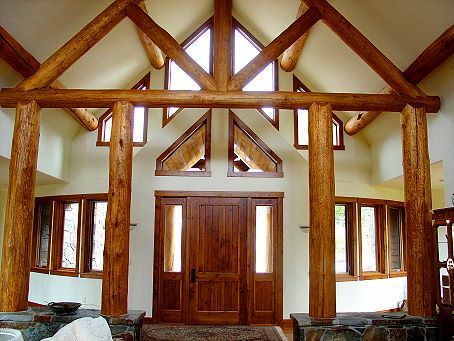 Most people prefer nice stone design that blends in with surrounding wood and colors. 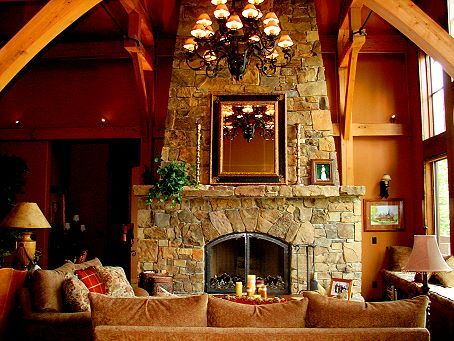 This tall, up to the ceiling chimney made with exquisite natural stones does provide a welcome appeal. 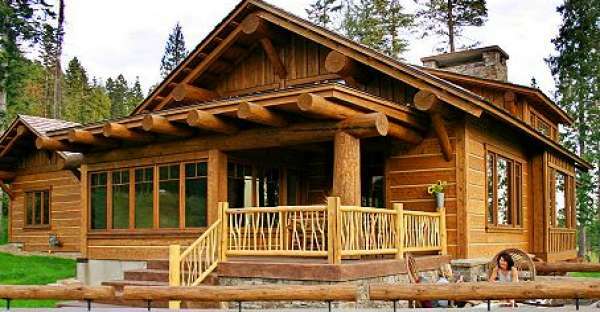 The entrance to this log cabin takes advantage of the special appeal of tall bare logs to highlight the natural beauty of the wood. This creates a striking effect that draws in all guests.